Morocco is a top-global destination for travelers and at first glance, a mecca for cheap goods, food and lodging. However, those bucks can fizzle quickly (especially if you are eating out daily and shopping! 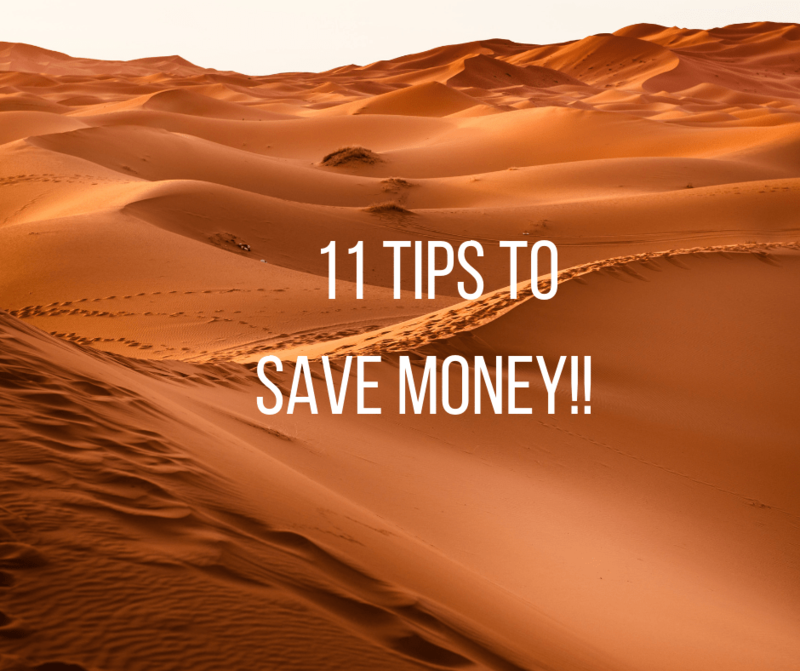 ), and Morocco isn’t as cheap as you may think, so we have compiled our best advice to save your cash and not skimp on the fun on your Moroccan adventure. 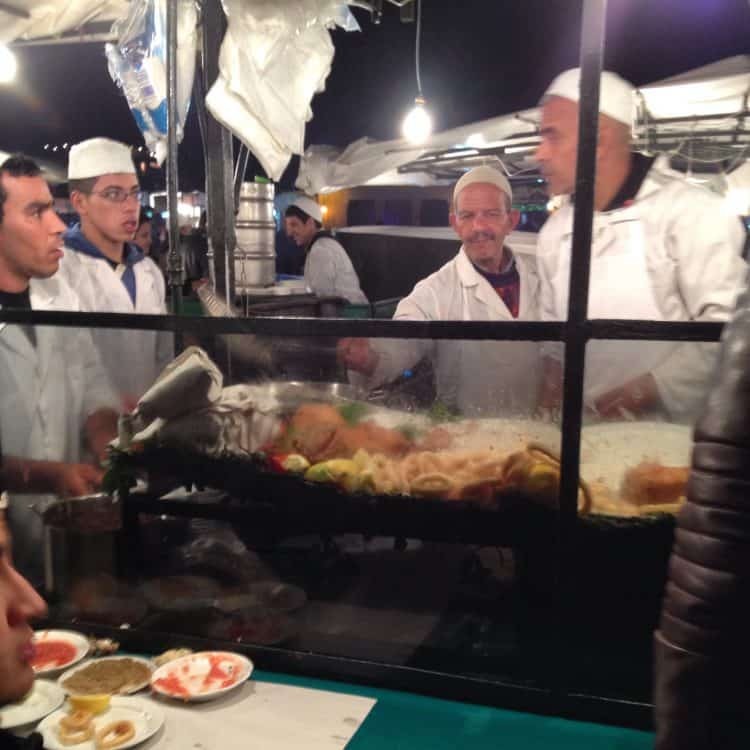 Morocco is filled with delicious, fresh, sizzling street food at most busy intersections. Particularly in the evening, the unique food scene comes alive and cheap, yummy eats are bountiful. Choose wisely-be sure that you can see your food being prepared hot off the grill in front of you. This lessens the possibility of consuming food that has not been prepared hygienically. But don’t shy away from this fabulous budget-friendly option. Ask where the best street food is at the reception of your hostel, hotel, or riad. And head where the Moroccans go-this is often the most authentic, tastiest food. It will also be the most reasonably priced, too. Have a plan! Check out lodging options before your trip. There are plenty of choices that won’t break the bank. Morocco is brimming with fabulous options for budget-lodging. There are hostels in most of the major cities throughout the country and true to Moroccan hospitality, they are excellent. Gorgeous atmosphere, simple, yummy food (breakfast is often included, but always confirm). On that note, ask your riad or hostel receptionist what the standard prices are for typical tourist activities-shopping for a specific item, tours, etc.) This way, you have a rough idea of the costs beforehand and you can choose the best, affordable options for your trip. Need souvenir ideas? Read this post on Moroccan souvenirs! Be sure to negotiate before you take a taxi in Morocco, particularly in the city of Marrakech. It is advisable to arrange the price before you get into the car or van or you will most certainly end up paying more. Some Moroccan cities like Rabat and Fes have meters in their taxis, but in Marrakech, they don’t tend to turn on the meters, so it’s an immediate (and frustrating!) game of haggling. Generally, you can expect about 20 dirhams in and around a city, but the more people you have in your group, the more they will try to charge. Do note that the smaller ‘petit taxis’ only can take three people, by law. The ‘grand taxi’, which are more like a mini-van, can take more but the price will go up. 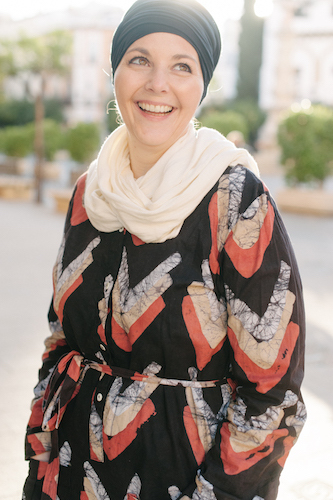 ‘Go local’ on your Moroccan vacation and visit a ‘hammam’ (a steam bath and scrub-down with the likes of argon oil, Moroccan organic black soap, and other therapeutic wonders); a wonderfully relaxing, genuine (and cheap!) experience. Hammams are conveniently dotted all over medinas (ancient walled cities) in each Moroccan town or city. Your riad or hostel can likely recommend a budget-friendly one, which does not skimp on quality or cleanliness. Prices range around the 200-250 dirham mark, which is about $22-$27; well worth the money. Enjoy an hour of pampering and your skin will thank you! It is a common theme that many tourists don’t discuss prices in the medinas; it’s too much hassle, so they just accept and buy. 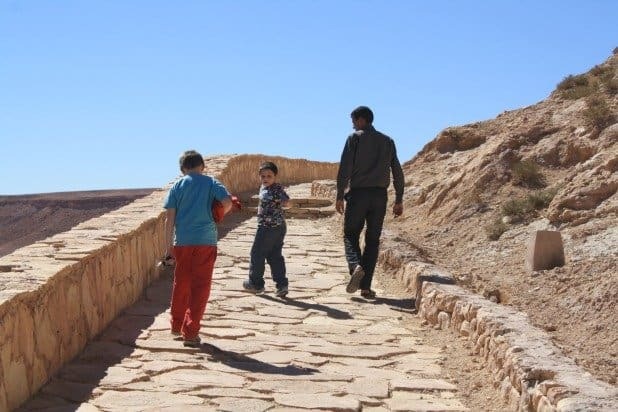 Morocco, however, is a country where one should most certainly not accept the first price for something, particularly if you are close to the main tourist areas. A general rule of thumb is to reduce the first price mentioned by two-thirds, particularly if you are in a touristy town like Marrakech. Be firm and walk away if necessary. The vendor will likely call you back and reduce the price. Consider going off the beaten track versus the usual tourist hum-drum. 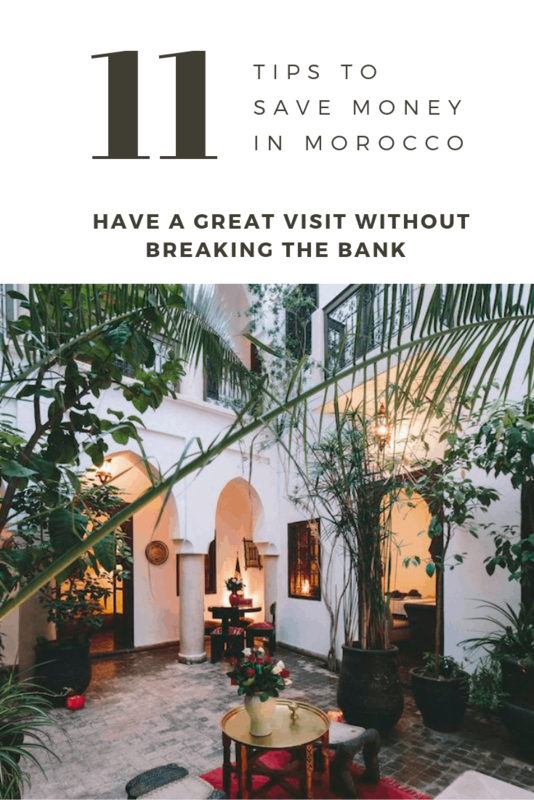 Ask your trusty guide or the reception desk of your riad or hostel about places that are not in the main area of the medina. There are so many fascinating places to discover, many of them are free. Check out the old Jewish shopping quarter of Marrakech, called the ‘Mellah’. It’s a bustling, unique structure. There are also many beautiful gardens in Marrakech, and entry prices are minimal. Take a look at ‘Le Jardin Secret’, (the Secret Garden), the centuries-old Menara Gardens, or check out Majorelle Gardens, the stunning botanical garden next the Yves Saint Laurent Museum; it is well worth a pop-in. Fes, also known as the Imperial City of Morocco, also has some worth-visiting gardens. Museums throughout the country tend to have reasonable prices for visits, so do some research before you travel and see where you would like to go. And if you happen to be a resident of Morocco, show your ID; you will likely get a good discount. This might be a no-brainer, but keep small change with you at all times during your Moroccan vacation. You will want it for taxis, tips-you name it, you’ll need it. Anyone in the service field in the country expects a tip, albeit small-from the baggage person at your hostel or riad to the toilet attendant who hands you a piece of toilet paper at a museum or restaurant. Tips typically are small-2 to 10 Moroccan dirhams. However, if you don’t have exact change for a taxi, a driver will likely shrug and happily take whatever bills you might have, particularly if it’s more. And he certainly won’t accept less. Don’t get caught in this inevitable trap! Be careful of folks (typically men) standing around the medinas of a city, offering to take you on a tour. They are generally not qualified and often part of a scam. It’s much better-advised to arrange a guide beforehand through recommendations, a tour company, or through your riad or hostel. Again, ask before you book, but generally, an all-day tour of Marrakech or Fes should run 500-600 dirhams, about $55-$65. These guides should be trained; feel free to ask them their credentials. Moroccan trains are a fantastic, reasonably-priced option for travel throughout the country. The train is also a perfect, hassle-free way to see Morocco as the landscapes are incredibly diverse from Tangier to Marrakech. 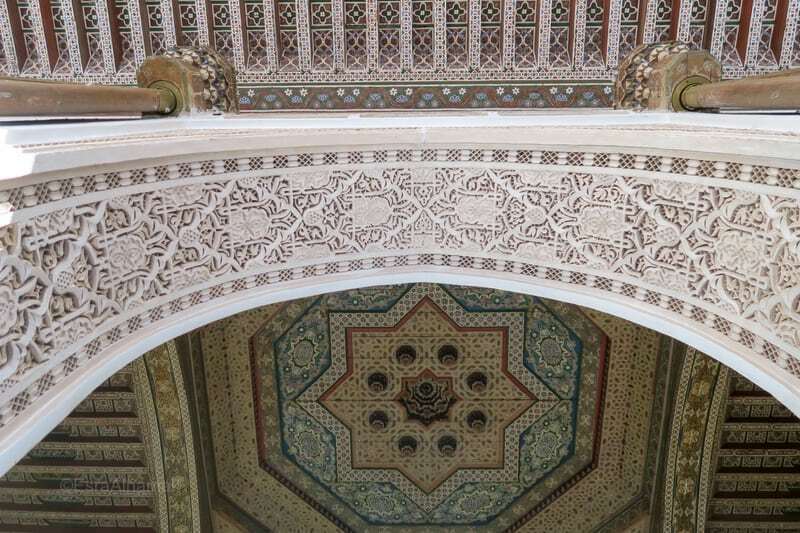 A few months ago, a high-speed train was launched from Casablanca to Tangier, cutting the once almost five-hour journey to just under two hours. A one-way first class ticket on this brand-new train is about 250 dh, approximately $27. On the regular train from Tangier to Marrakech, we recommend that you travel first class, where you can reserve a wagon seat and be comfortable for your travels. The first class compartments have AC, which you will want in the heat of the summer, and they even have a little snack cart that comes through the train. There is also a toilet; make sure you bring toilet paper as it’s a 50-50 chance if the bathroom has paper. On that note, your wipes will come in handy as there is rarely soap! More information on getting around in Morocco. If you want to save money on your upcoming Moroccan adventure, a good move is to plan a travel budget before your vacation. Factor in your research on the best cheap eats in your destinations, the most cost-friendly lodging, and extras. What are extras, you might ask? Morocco is a shopping-lover’s paradise. This can severely affect your budget, especially if you aren’t careful. There are beautiful rugs, pottery, and home décor everywhere in this fascinating country. It’s easy to fall in the trap of-“Oh, but it’s so cheap!” And then the numbers begin to add up. Last resort, window shopping in and around the medinas and shopping neighborhoods is a wonderful alternative to actually buying. Enjoy the sights, sounds, color and wonder without spending money! Whatever your budget, Morocco will mesmerize you with its fascinatingly rich culture, food, and history. Take these tips to heart and go home enlightened; your wallet will be grateful! Perfect timing as I leave tomorrow for Morocco!